NailZilla: Zerg nails! 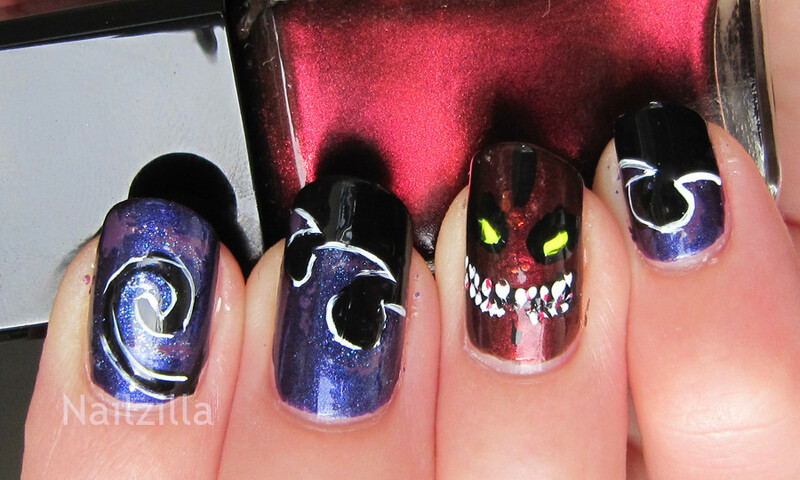 Starcraft 2 nail art. Zerg nails! 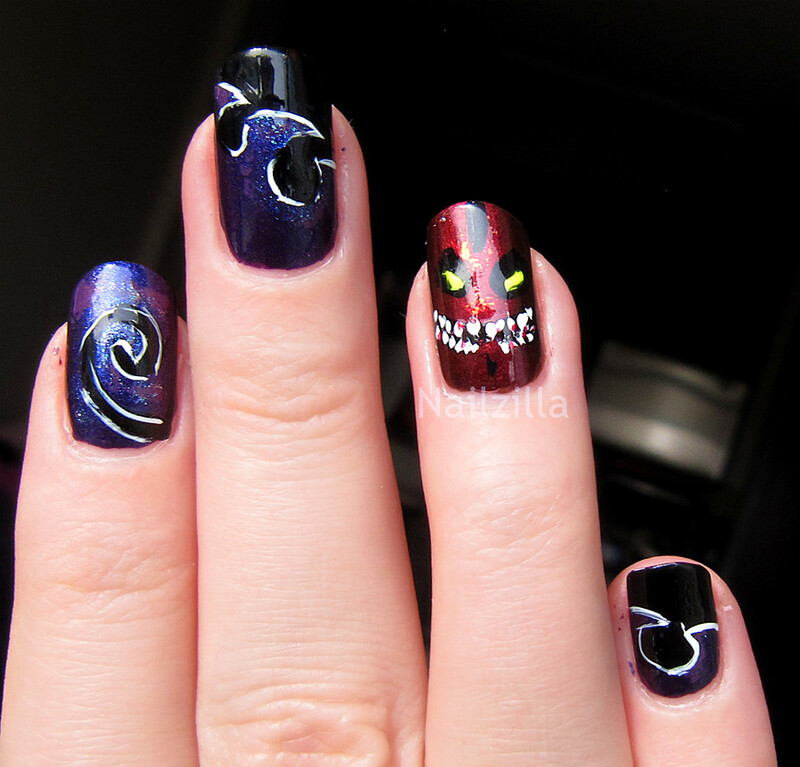 Starcraft 2 nail art. Ahh this was a request from a friend of mine, we got to thinking about nails and the topic of StarCraft came up. I'm not a big SC player myself but I might get into it sometime, RTSes are always fun! 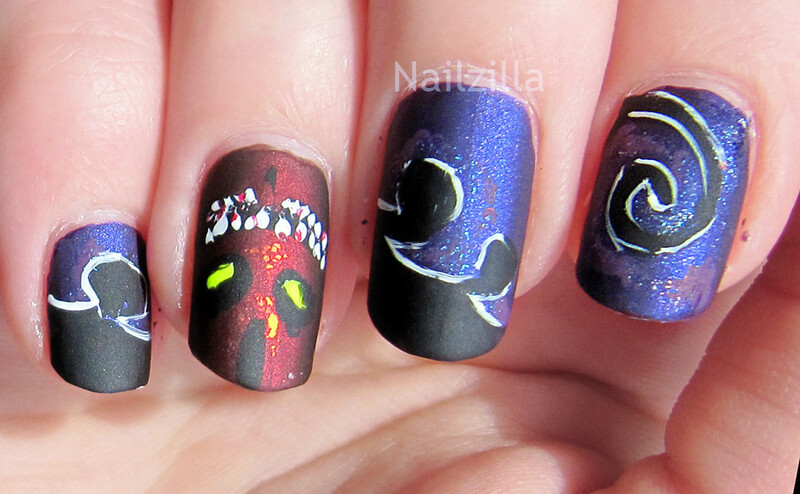 I wanted to do Zerg nails, but figuring out a way to go about this was difficult. I ended up using the pieces of the Zerg logo and doing a Hydralisk face on my ring finger. I didn't have any brown, so Hydralisk is dark red...with bits of flakies in the middle. The NP bottle is Illamasqua Scarab. These photographed better in matte, but look so much better shiny! Too bad the sun left a reflection, but I hope you can still tell what they are. Polishes used: WnW Black creme, Art Deco brushes in white in black, Daiso blue shimmer, Nfu-oh 38, OPI Dutch' Ya Love OPI?, Illamasqua Scarab and Rare, Kleancolour nail brush and polish duo in Vigorous. I really like experimenting with NP brushes! I look forward to doing even more designs in the future. super cool! i'm not into sc but my bro plays (: the character on your ring finger looks wickeddd! Hi there! I recommended your blog at Born Pretty Store, because you are doing a real good job! :) Hope they contact you!